Only the school based duals are on December 15th. If you are putting together a team with wrestlers from different schools then the date for that dual is December 16th. 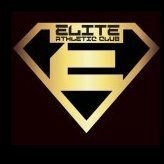 www.EliteAthleticClubLLC.com - EliteAthleticClub@Comcast.net - 219-841-1906 For more info. Please Share Thank you! Elite Athletic Club has the following openings! 8 & Under - 67, 82, & Hwt. Helpus fill and enjoy a great weekend of wrestling!! !